Following the retirement of Debbie Simpson, Dorset Police’s new chief constable, James Vaughan, officially took up his post on 7 April. Taking over from retiring chief constable, Debbie Simpson, the new appointee James Vaughan began his role on Saturday, 7 April. He said: “I consider it an honour and privilege to take up the role of chief constable. I have worked in Dorset Police for six years and have been the deputy to Debbie Simpson for five of those years. James said that one of his key priorities in the role would be focussing on the wellbeing of the workforce. He said, “The men and women of Dorset Police – officers, staff and volunteers – have delivered enormous changes in the force during recent years reducing our operating budget by £37million; yet we are still a police force that is judged among the best in the country. “To have delivered all that change and to be continuing to provide good services to the public is an absolute testament to everyone that works here. James added that the force has ‘ambitious plans for the future’. He said, “I will be working closely with the police and crime commissioner to deliver the Police and Crime Plan. 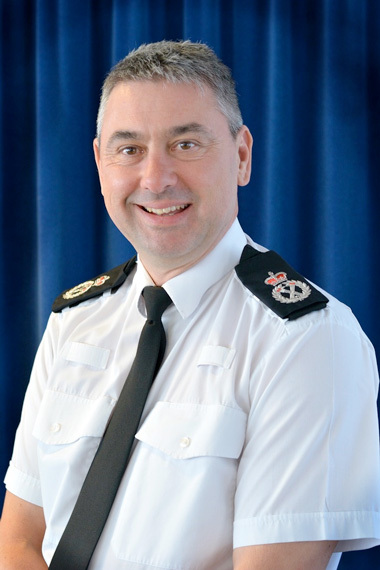 Prior to his appointment, James had served as deputy chief constable since May 2013, having joined Dorset Police as assistant chief constable in 2012. James, aged 50, began his policing career with Wiltshire Police in 1992, working in various uniform and detective roles including Head of Crime. He is married with five children and his interests include sailing and natural history. Police and Crime Commissioner Martyn Underhill said: “Firstly, on behalf of Dorset residents, I would like to thank Debbie Simpson for her professionalism, honesty, integrity and leadership, which has left Dorset Police in a strong position to be able to meet future challenges. I wish her well in her retirement.